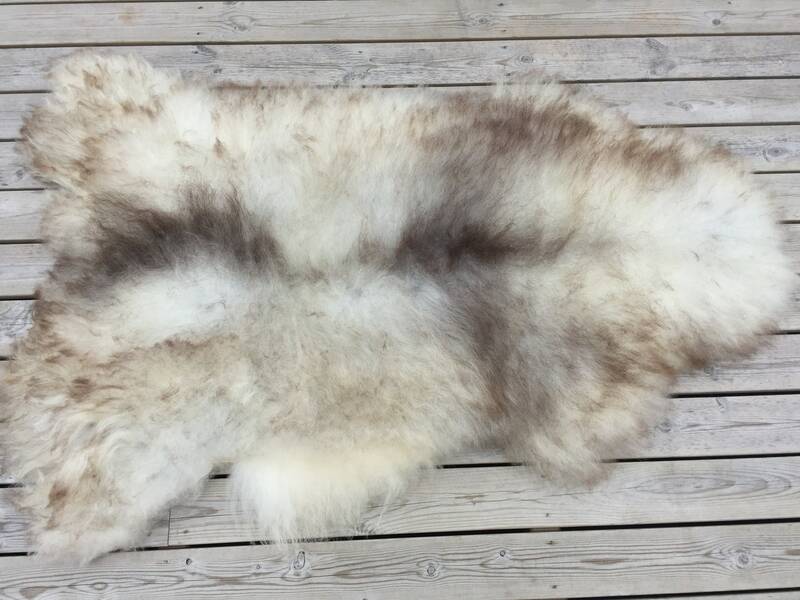 This is a sheepskin from the Old Norwegian Spael sheep. It's a rugged and hardy type of sheep with thick and long wool which enables it to live outdoors all year around, even in deep winter. The hide has been tanned to perfection through the world class quality tanning process of Norwegian tanners. The hide is soft and flexible, and the wool is soft and clean. The colors are natural and do not change with sunshine etc. 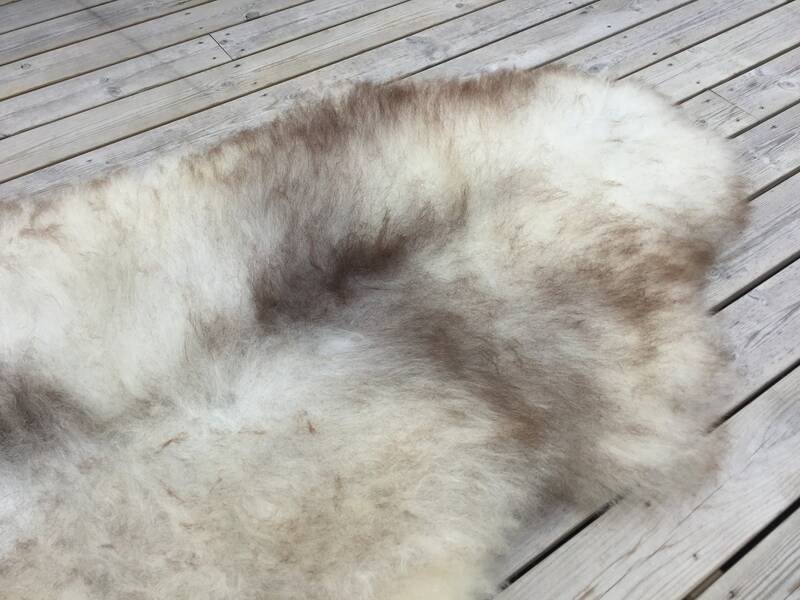 This sheepskin can even be washed by hand if you follow the tanner's instructions. We ship internationally. We advice customers in Norway to shop at Pergarden.com due to added VAT on domestic orders. This skin has the measurements of appr. 101 cm x 66 cm. 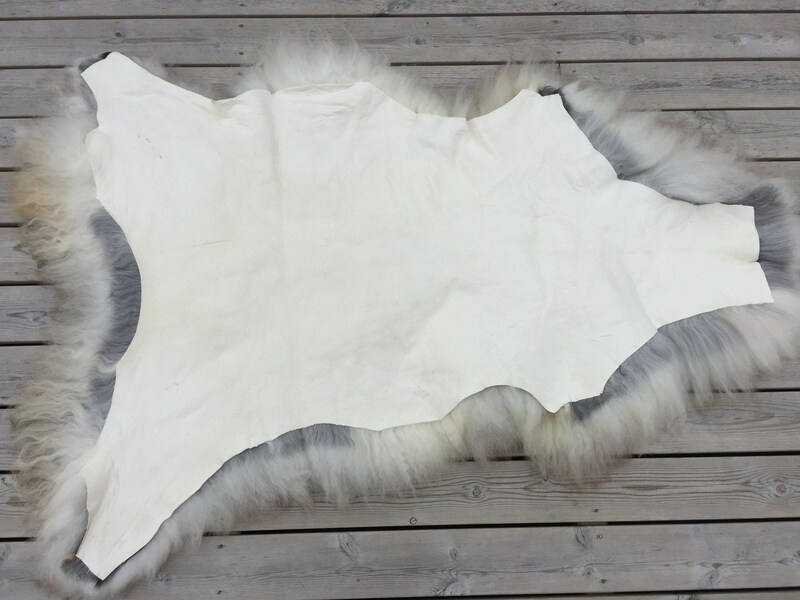 (From neck to rear, and across the middle) The sheepskin has a bit of a yellow hue to the hide side. To fulfil your order, you must provide me with certain information (which you authorized Etsy to provide to me), such as your name, email address, postal address, payment information, and the details of the product that you’re ordering. 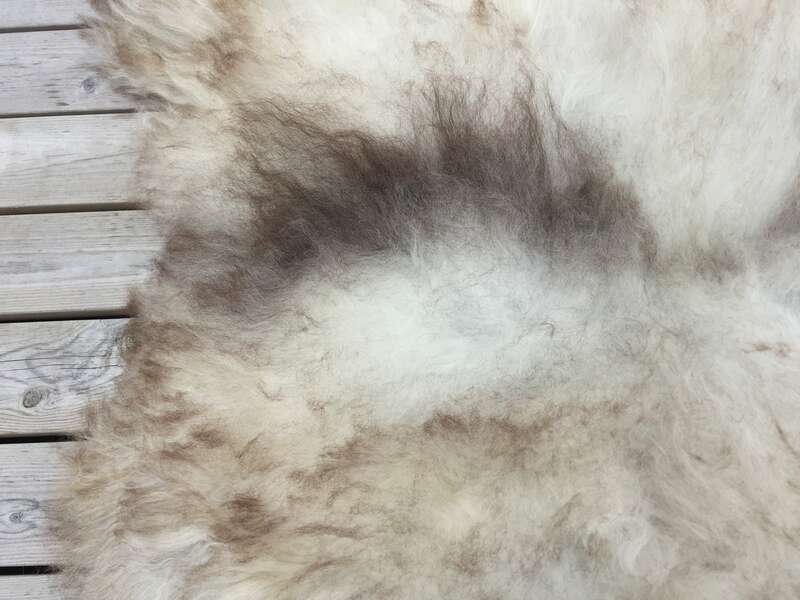 You may also choose to provide me with additional personal information (for a custom order of sheepskin, for example), if you contact me directly.